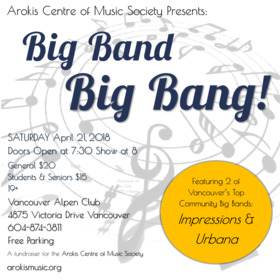 We’re excited to announce that Big Band Big Bang! 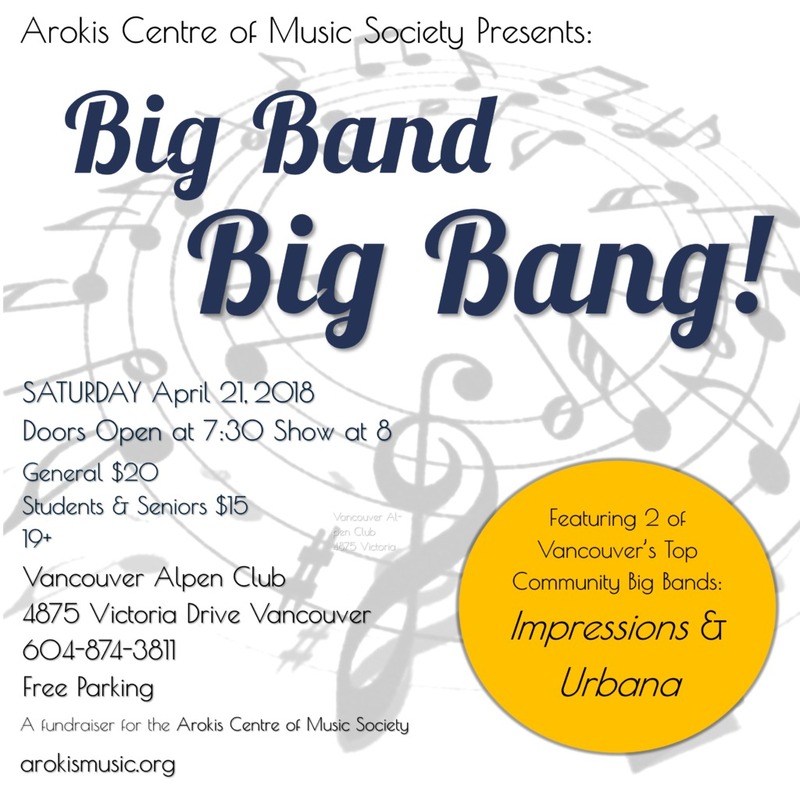 is back for 2018, featuring both of the AROKIS big bands at a new location, the Vancouver Alpen Club. Past BBBB concerts have been held at suburban theatres, including The Columbia in New Westminster and the Terry Fox Theatre in Burnaby. With the move to the Alpen Club, we’re delighted to have a more central location to showcase the event. The Alpen offers comfortable cabaret style seating and a bar that specializes in German beer and wine. You may also want to visit the Club’s excellent German restaurant before the concert (reservations strongly recommended!). The Alpen Club also features one of Vancouver’s best dance floors, and indeed was the site for a recent highly successful Swing Dance with Impressions. Big Band Big Bang! is more of a listening experience, but dancing is still available for those who wish to engage. Tickets are $20 for general admission, $15 for students and seniors. They’re available online at ticketzone.com/bbbb2018. 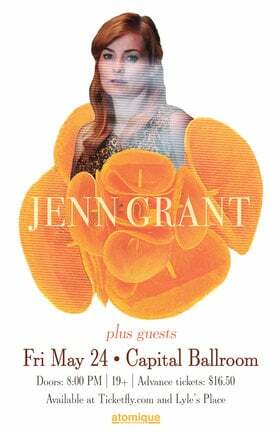 You can also purchase tickets from band members or at the door the night of the performance.